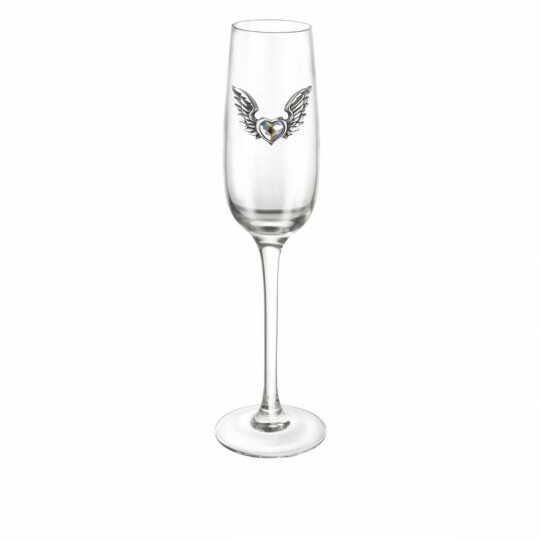 CWT54 - Wings of Love Champagne Glass in Gifts is made for Women and Men and comes in Black and is made of Pewter material. It is marked as Glassware and weighs about 1.00 lb. The most passionate way to toast your love, with multi-faceted Swarovski crystal hearts, flying high to meet their destiny.